Created by Matthew Taylor on Wednesday, the Change.org petition asks for Apple to voluntarily recall and repair all MacBook Pro models released since late 2016. Taylor is not simply asking for replacement keyboards, but instead an entirely new design not prone to constant failures suffered by some owners. 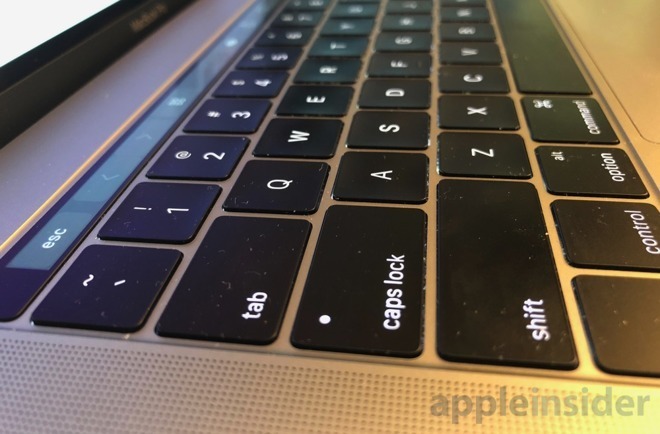 Since the 2016 MacBook Pro launched, a number of users have complained of failed, unreliable and unresponsive keys, a critical flaw for a laptop boasting an integrated, hard-to-replace keyboard. AppleInsider brought attention to the issue earlier this week, offering hard data on failure rates gleaned from service information collected from Apple Genius Bars and authorized repair outlets. When comparing data from 2014, 2015, 2016, and 2017 MacBook Pros — not including Touch Bar related problems — the 2016 MacBook Pro keyboard fails twice as often as previous models. The 2017 version currently fares a bit better, but a full dataset for that model is unavailable as it has only been on the market for 11 months. Aside from the frustration associated with an unreliable keyboard, cost of repair is a serious concern. Apple's MacBook Pro design so tightly integrates components with the chassis that if a switch fails and the keyboard needs to be replaced, the keyboard, battery, and upper metal case all need to be swapped together. We have seen out-of-warranty repair bills reach upwards of $700 for this type of repair, all for a simple broken key. At the time of press, the petition has amassed over 1,000 signatures.